Tremendous torque and power. I have used this on my trapline, for hunting, and general work. 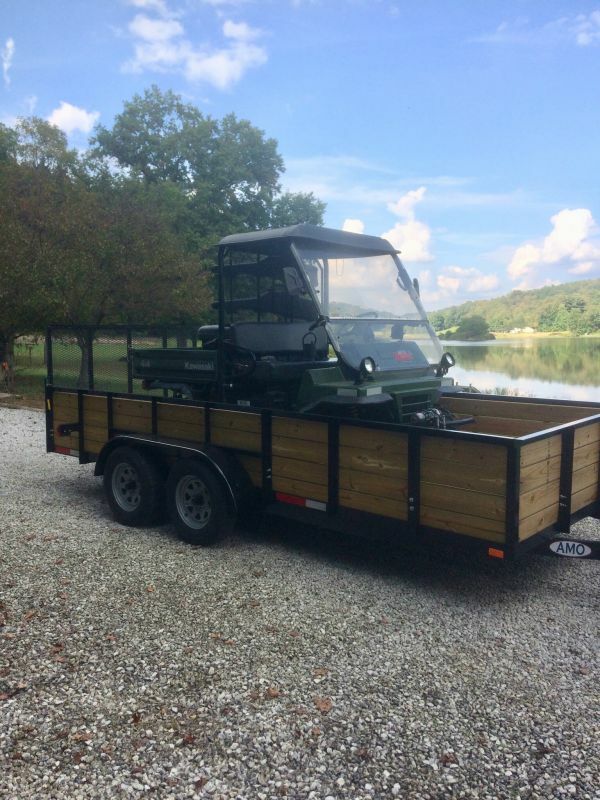 On a 25 mile trapline on and off road it uses less than 2 gallons of fuel. No engine modifications. Excellent condition - actually better than new because of improvements. Never crashed, wrecked, rolled, or damaged. Always stored in the garage and adult driven. No rust and no dents, only minor scuffs and scratches in the bed. Four wheel drive, high and low range transmission, rear axle differential lock. Factory original roof and windshield. 3” professionally installed aftermarket lift kit to allow for more ground clearance and larger tires. Off road all terrain tires. * The trailer is not included. Last edited by Willy Firewood; 11/15/18 04:57 PM. Reason: Typo.